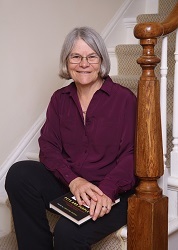 Christine Overall is Professor Emerita of Philosophy and holds a University Research Chair at Queen’s University. She has won awards both for her teaching and her research, in feminist philosophy, bioethics, and philosophy of religion. She is the author of six books and the editor of five, most recently Pets and People: The Ethics of Our Relationships with Companion Animals (Oxford, 2017).